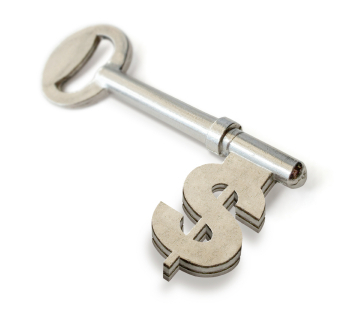 As discussed in the previous post, the first level of wealth is financial security. This really is a level that everyone should attain. It does not require such a big amount of money and it is truly essential to the prosperity of our global civilization as a whole. Financial security implies that you are able to absorb unforeseen financial shocks such as a job loss, commodity price hikes and rising interest rates. The measure I use for financial security is called financial resilience: the number of years that your accumulated (financial) wealth can sustain your lifestyle (and that of any dependents) if your income were cut off today. 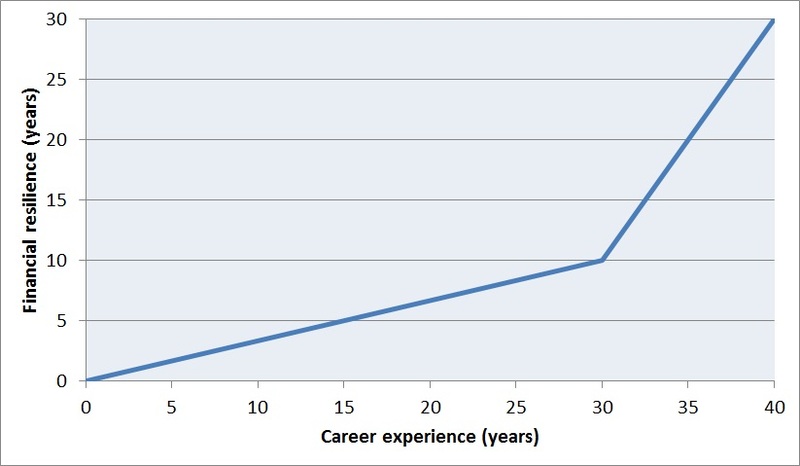 For basic financial security, your financial resilience should roughly follow the graph given below: a steady increase for the first 30 or so years of your career and then, once the kids leave home, a sharp increase to prepare for retirement (do not blindly rely on our insolvent Western governments to keep on paying out generous pensions). Another very important point is that things like the value of your home and your cars do not count in the calculation of financial resilience. These things form part of your lifestyle and, if you’re forced to sell them, your lifestyle will be disrupted. No, the wealth we are talking about here is mostly financial assets (savings, stocks, bonds etc. ), things that can be easily converted into cash without affecting your lifestyle. It is important to note that you can improve your financial resilience in two ways: by increasing your financial assets (saving and investing more) and by decreasing your cost of living (consciously spending less). Notice that these two things are one and the same: if you spend less, you have more to save and invest. A person saving 10-20% of the average developed world income (unlike the American trend shown below) will be able to easily follow the above graph. Also, the sharp rise required in the last 10 years will be easy once the kids leave home. For example; halving your cost of living will instantly double your financial resilience. When looking at the world as a whole, widespread financial resilience really is the one and only path to complete economic stability. Our modern economy is so unstable simply because the vast majority of people live from paycheck to paycheck, implying that a sudden reduction in income will force them to also change their consumption. If one person can buy less, he reduces the income of someone else, who then, in turn, can buy less, thereby reducing the income of someone else etc. These kinds of disruptive economic cascades are discussed in more detail in a page series starting here. However, if everyone had a few years of financial resilience, we would all be able to absorb any unexpected financial shocks without changing our spending at all, thereby stopping any disruptive economic cascade before it can even begin. This, in short, will make the economy recession-proof. And yes, the Western world could really use some recession-proofing right now. Schalk I think your explanation has disregarded psychology.When people anticipate hard times they cut down on expenses.So recessions can’t be avoided,At best, hard times will not turn out to be such personal disasters. Very true, but the reason why people cut down on their expenses is because they fear that the financial implications of these hard times will threaten their standard of living. If their accumulated wealth can maintain their current lifestyles for many years even if they lose their job (and if they fully understand this wonderful security offered by their accumulated wealth), I feel that they will not alter their consumption habits based purely on some bad economic news. 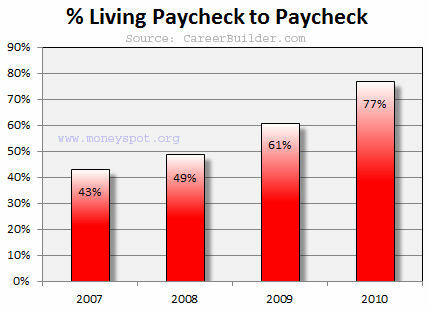 Today, however, the vast majority of people will not be able to pay the bills for even a single year if they lose their job. One can therefore understand that some bad financial news sends them into a completely reactive (and essentially useless) saving-spree. I think that recessions are primarily caused by this incredible (self-imposed) financial vulnerability within the general population. 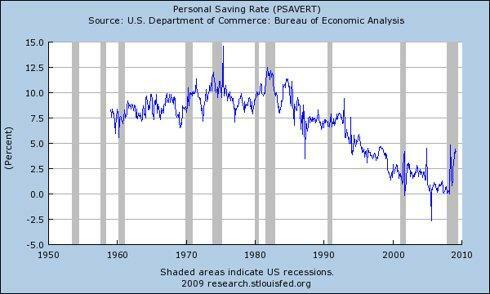 PS: It must be stressed that today’s definition of “normal consumer spending” (saving virtually nothing while taking on more and more debt) is completely unsustainable and will need to be revised pretty soon.